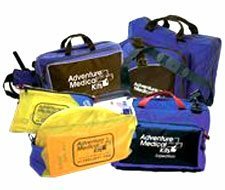 Adventure Medical Kits Be Safe! 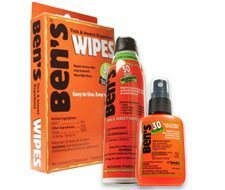 See all the Tender Corp Products, including SOL (Survive Outdoors Longer) bivvy, origin, and other cool outdoor gear - plus HealthiFeet, Ben's insect repellents with deet, Deet-Free Natrapel with Picardin, the ever populat QuickClot and TenderCorp Hygiene products! 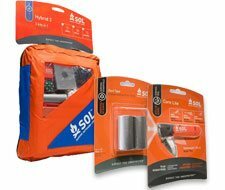 Survival SOL - See the Origin & the Bivvy! 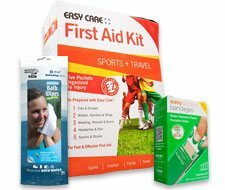 New Easy Care™ First Aid Kits & Easy Access™ Bandages Almost Here! 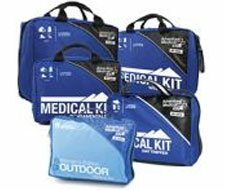 Adventure Medical Kits and Tender Easy Care Kits are wonderful presents. The first time I found that out was when I was on vacation at the beach. 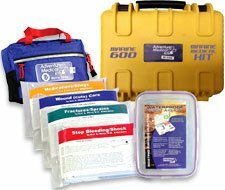 We had used the Easy Care Kit for some minor incidents (cuts and splinters) so when it was time to leave, I gave the kit to my niece to take home with her. I soon found out that her sister was jealous that I had given the kit to her sibling. I have since rectified that by sending the sister a new kit. While I did, I also included some of the handy Pocket Medics for her and for other members of the family. Both of my sisters and their families love to hike, kayak, ski and the outdoors in general. 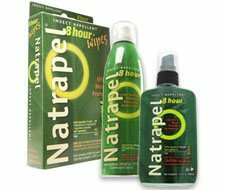 I have since sent an Ultralight & Watertight kit to my other adventurous sibling. They love these kits! 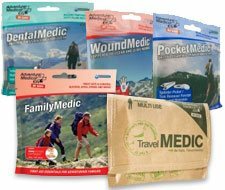 ~ Audrey Egan, Tender Corp.
One of the many pre and post-trip duties of a wilderness guide is to re-stock the group medical supplies. 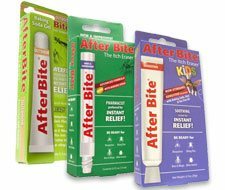 Counting bandages and gauze pads, refilling the drugs, and adding more antibacterial ointment all seem tedious when surrounded by the urban conveniences of cell phones, cars, and nearby emergency rooms. 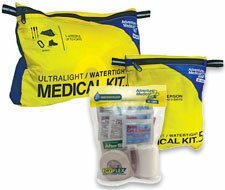 However, if you hike, paddle, or ride far into the backcountry all of those supplies become vital life-saving equipment. 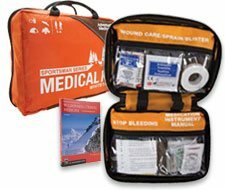 Long before working for Adventure Medical Kits, I spent 4 years guiding wilderness trips using the Comprehensive and Fundamentals kits. 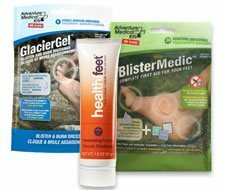 The most common injury: blisters. 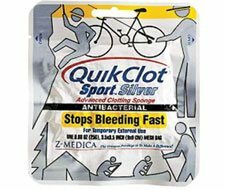 Glacier Gel, Moleskin, safety pins, tape, alcohol swabs, and bandages were constantly being utilized. It was fun to teach participants how to take care of their feet and to recognize the “hot spots” before they became problems. 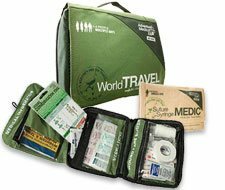 My favorite aspect of using the medical kits was how organized they were and still are today. There are so many things on your mind when you are guiding, from risk management to group dynamics, to route finding and navigation. 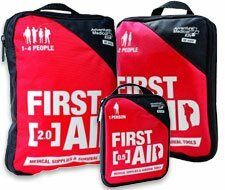 If a medical situation arises, it is so helpful to have supplies organized by injury in order to find them fast and treat the patient efficiently. 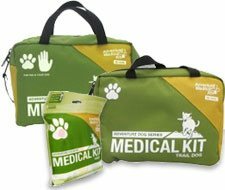 The organization of the kits proved to be especially beneficial on a 10 day sea-kayaking trip when I had to treat a patient who had eaten Spinach contaminated with E. coli (there was a recall of contaminated Spinach back in 2007). His symptoms started in the middle of the night and with a headlamp and my trusted medical kit, I was able to quickly get him some medication to help alleviate the pain, monitor his temperature with the thermometer, and write notes about what symptoms he was reporting. My co-guides and I kept him hydrated and stable and ended up evacuating him to a hospital. I am thankful to work for a company that makes quality products that are designed for backcountry adventures.